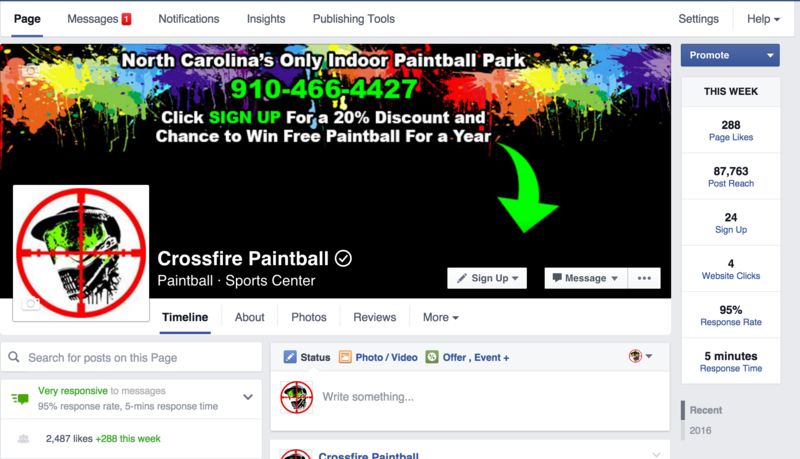 We want to thank Crossfire Paintball Indoor Paintball Park in Wilmington NC for giving us the opportunity to build their website and grow their Facebook accounts from 0 – 2,500 likes! Our team created a custom WordPress web design theme and installed all the social media functionality, email opt-in forms, and reservation system. We then optimized each and every page with meta titles/descriptions to make sure Google would crawl and display their site for all the major keywords. 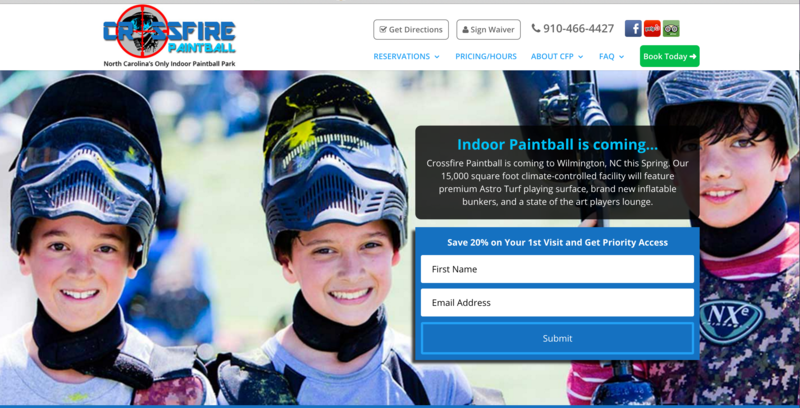 Their main target keyword is wilmington nc paintball so we made sure to include off page and on page references to get them ranking high in the search engines. 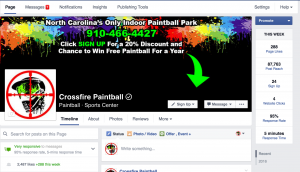 After we launched the Crossfire Paintball site, we started an aggressive Facebook marketing campaign that generated 2,500+ likes in less than 30 days. During that process Crossfire Paintball also received 1,000+ email addresses that were added to their subscriber list. If you are ready to start successful website and marketing campaign, please call AptoHQ at 866-404-9090!